Endophytic Bacillus species with plant growth promoting activities have been used in the last decade. The mechanism of their activities has been partially elucidated recently. Plant growth regulatory hormones that interact with volatiles emitted by endophytic Bacillus siamensis YC7012 have not been well defined yet. To elucidate the mechanism involved in the promoting effect of endophytic Bacillus siamensis YC7012 on root development of plants, the objective of this study was to investigate potential factors involved in interaction between Arabidopsis and strain YC7012. Bioassay was conducted by co-cultivating Arabidopsis mutants of auxin (axr4–2, aux1–7 and eir1–1), ethylene (etr1), and jasmonic acid (jar1, coi1–1) with strain YC7012 in petri dishes compared to exogenous MeJA treatment. Auxin response was further determined by using transgenic line DR5::GUS. Volatile experiments were conducted in central partition plates (I-plates). Cell wall modification genes were investigated using qRT-PCR. 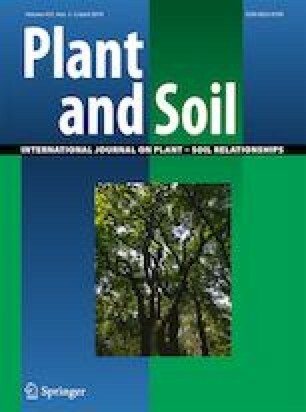 All tested mutants showed significantly increased biomass with more lateral roots in the treated seedlings compared with the untreated mutants. Moreover, the co-cultivation of the strain YC7012 with the auxin response transgenic AtDR5::GUS did not distinctly show any visualized GUS signalling. Co-treatment of YC7012 with MeJA increased the number of lateral roots and biomass of Arabidopsis jar1. However, application of MeJA only failed to promote the growth of lateral root or biomass. Expression levels of cell wall modification genes EXPANSIN, EXPA5, and EXPB1, CHLOROPLAST LUMEN PROTIEN (CLP), and carbohydrate and cell wall biosynthesis gene REB1 were significantly up regulated by co-cultivation with strain YC7012. Strain YC7012 significantly increased plant biomass. Its effect was similar to volatile producing strains B. subtilis GBO3 and B. siamensis (KACC 15859T). Strain YC7012 can promote the growth of Arabidopsis by producing volatile organic compounds independent of auxin, ethylene, or jasmonic acid signalling pathway. Mohammad Tofajjal Hossain and Ajmal Khan contributed equally to this work. The online version of this article ( https://doi.org/10.1007/s11104-019-04015-y) contains supplementary material, which is available to authorized users. This work was supported by the Brain Korea (BK) 21 Plus project funded by the Ministry of Education, Science and Technology. It was also supported by Cooperative Research Program for Agriculture Science & Technology Development (PJ 01104901) funded by Rural Development Administration, Republic of Korea. We thank J. Y. Kim (Gyeongsang National University) for providing Arabidopsis mutants of jar1, etr1, and transgenic construct DR5::GUS. We also thank M. J. Bennett (University of Nottingham) for providing auxin mutants aux1-7, axr4-2, and eir1-1. We are also thankful to C. M. Ryu for providing strain B. subtilis GB03.